By Francesco Corea, Complexity Scientist & Anthemis Fellow 2015/16. Anthemis Fellowship 2.0, starting 2016 is a 6 month program, based in London. Deadline for applications is 11 pm July 27, 2016. See our recent article about the Fellowship here. As a complexity scientist, I believe in an interdisciplinary research approach and I’m passionate about fostering interaction between different sciences in order to bring to light the not so obvious, to surface hidden connections. However, having finished my research period on financial mathematics at University of California, LA, as part of my PhD ten months ago, I was still searching for ways to achieve this goal. #AnthemisFellowship "changed my life, and accelerated my professional and personal growth by years" https://t.co/oNEp90RUb4 Closing Jul 27. I was educated as an economist, trained as a data scientist, but in spite of all my academic credentials and things accomplished, I wasn’t sure of the career path to pursue. It was clear to me that I could not have the kind of impact I wanted through a conventional academic path, so I decided to look for a job in the financial services industry…but surprisingly enough I did not know where to start. I loved finance, I was passionate about technology, and I was looking for a challenge to help me figure out how to leverage my previous experiences and skills, a chance to investigate different things at once; and the Anthemis Fellowship gave me the opportunity to do exactly this: start an exploratory journey through the financial services world. The Fellowship enabled me to meet some of the most incredible and smartest people I have ever talked to. I had the chance to work within a major bank in London as a data strategist; I had the opportunity to shadow one of the most active and cutting-edge data team in Cape Town; I have travelled across Europe and United States building software for financial analytics companies; I landed up in Australia, working with probably the most unconventional (and mind-blowing) team in the entire insurance industry. But I wasn’t finished yet: I came back to London to have experiences within a venture capital and a private equity company. It wasn’t easy. I had often to completely reinvent myself, experiment with new concepts and ideas, and test my limits on a daily basis. In doing so though, I have i) found out that I want to employ my technical knowledge and expertise to help disruptive companies growing faster; ii) built a strong network across five continents; and iii) developed a completely new mind set. 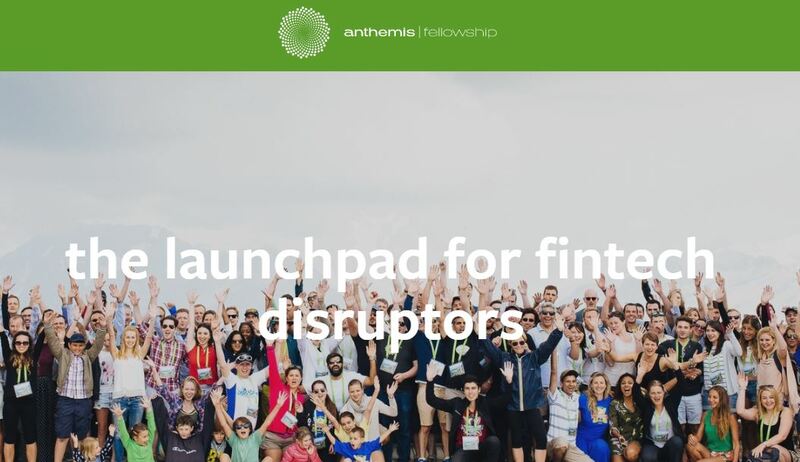 The Anthemis Fellowship is the weirdest program you might encounter in your life: it is partly an MBA program, partly a graduate programme across several companies instead of a single one, partly an incubator for individuals rather than startups, and partly a self-discovery journey. Regardless of the definition, it changed my life, and it accelerated my professional and personal growth by years. I am now part of the network, and I hope to be able to give back at some point as much as I received from the Anthemis Ecosystem… so get in touch if you need!